Imagine a future where you are never truly alone. Even when your spouse is on a business trip or your children are away at summer camp, you will always have someone (or something) to talk to. In the morning, you could ask the microwave to heat up a bowl of oatmeal. In your car, you could tell your stereo to put on some ’90s music. And when you walk into the office, you could ask your smartphone, "What’s on my calendar today?" "A.I. will pervade the show," said Gary Shapiro, chief executive of the Consumer Technology Association, which owns CES. 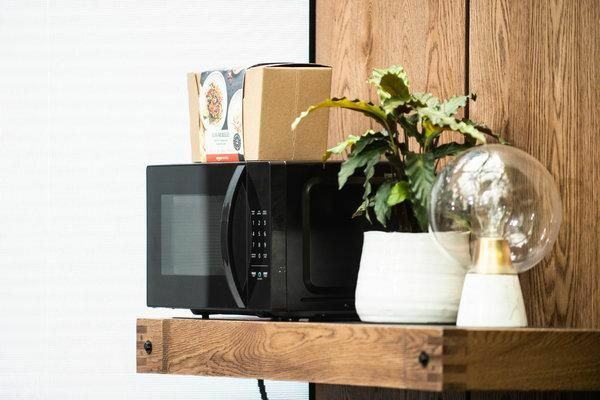 Last year, Amazon introduced a microwave powered by its Alexa virtual assistant. "We’re really leaning into the Assistant as the best way to get things done, helping you for lots of things as you go about your day," said Nick Fox, a Google executive who oversees Assistant. "We still have to learn their language, and they have not learned our language," said Frank Gillett, a tech analyst for Forrester, a technology research company. Carriers like Verizon and AT&T said new network technology would deliver data at incredible speeds. "For the early adopters with deep pockets, that’s great," Mr. Gillett said. "For the rest of us, big whoop." "The industry has been plagued by high-cost hardware, motion sickness, a dearth of compelling content and a general lack of consumer interest," said Victoria Petrock, an analyst for the research firm eMarketer, in a recent post. "There’s going to be a lot of noise about automotive technology, but nothing distinct or specific," Mr. Gillett said. Brian X. Chen is the lead consumer technology writer. He reviews products and writes Tech Fix, a column about solving tech-related problems. Before joining The Times in 2011 he reported on Apple and the wireless industry for Wired. A version of this article appeared in print on Jan. 4, 2019, on Page B1 of the New York edition with the headline: Trends and Hype for ’19.